This was a huge display within the conference venue – amazing photography! Last week three members of IIB, Dr Hannah Davies, James Torpey and Prof. Jerry Turnbull went to Vienna to find out about the latest research and technological advances in the field of neurodegeneration and dementia at ADPD 2017. This five day conference saw over 3000 clinicians, researchers industry specialists from around the globe discuss recent advances in the field, including reports on the latest drug trails, new avenues for treatment and patient perspectives. This busy meeting gave us the opportunity to catch up with colleagues from around the world, and share the exciting research we are doing here at Liverpool with a huge audience. During our stay in Vienna we were treated to welcome reception at Vienna’s beautiful City Hall, we ate traditional Austrian dishes, talked science and enjoyed an impromptu opera performance from one of our colleagues! We came away from the conference, tired but full of new ideas and renewed enthusiasm for our projects. As a part of the Centre for Cell Imaging and a member of the Microscopy and BioImage Analysis community, I occasionally get away to conferences like the recent NEUBIAS training school and symposium in Portugal. Since having joined Twitter last year (@dn_mason), this is the second conference that I’ve been to, and as a result, was the second time I tried (with reasonable success) to Live Tweet at the conference. Going right back to basics, Twitter is a platform for broadcasting small messages (of ~140 characters). Some describe it as micro-blogging. To many, the brevity of each tweet is both it’s greatest strength and also one of the most frustrating features. Live tweeting, is basically the act of providing a running commentary of a seminar, event or even a whole conference. All of the tweets associated with such an event can be tied together using a text-tag called a #hashtag (which starts with a hash like that last one). You can always go back through the twitter website (or app) and see all of the tweets associated with a hashtag. For example, check out all the #NEUBIAS tweets. OK, I get it, but why bother? OPEN NOTEBOOKS: Like most people these days, I have way too much paperwork. Between manuscripts, notes and admin, the last thing I need is more paper on my desk. By live tweeting, I can keep track of who presented what, and when (and, what I or the audience thought of that in the question periods/breaks). Once you get the hang of it, you can check and record links to papers and websites on the fly so you know that you’ve not made a mistake in writing down the the URL (especially important if your handwriting is less than clear). Everything is time-stamped and fully searchable so it’s easy to find that note you took six months ago (can you say the same about your regular notebooks?). ACCESSIBILITY: Plain and simple, live tweeting, gives people who aren’t at the event access to some of the ideas, thoughts and opinions that are expressed there (see endnote #1). Perhaps you’re off at another conference but want to stay abreast of the latest research, or maybe your budget doesn’t stretch to a trans-atlantic flight. Furthermore, this taps into the idea of open science. By sharing your ‘notes’ via Twitter, everyone gets interactive access to them and the community can start a conversation around them. NETWORKING: This might be a slightly broader point, but a lot of scientists use Twitter. By becoming part of the twitter ecosystem surrounding an event, you will probably find it easier to get yourself and your work known. You’re also becoming a bigger part of the community and getting involved with discussions to which you would otherwise be oblivious. At least 3% of your screen here is taken up by beard. The twitter homepage (above) may look nice but it’s really inefficient on space. Once you move to Tweetdeck, you will never look back. Tweetdeck is a very customisable app built into twitter. Compare the image above with the one below. Left to right, I have my home feed (tweets from people I follow), my notifications (people talking directly to me or interacting with my tweets) and the #NEUBIAS hashtag, all on one page. 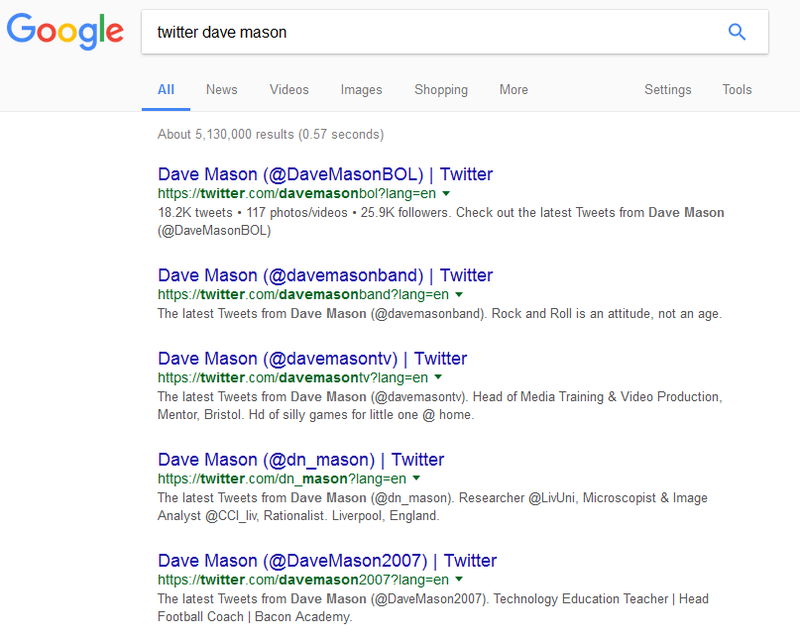 It’s fairly obvious that Twitter is a web application (see endnote #2). So you probably already have a web browser open. Learn how to use and manage tabbed browsing, so you can quickly search for websites (IE the speaker’s homepage), papers (PubMed or your equivalent repository), or relevant links that you might want to come back to later. Learn shortcuts to quickly switch between and close tabs. If they do, include it in your tweet. It lets them know that people are discussing their work and opens up another avenue for discussion (once they’re off the stage). This also helps with the visibility and networking mentioned above. Same idea goes for hashtags. If the event has a tag, use it in every tweet. Also, try to hashtag topics that will expose your tweet to others who might find the content interesting. #Don’t #over #do #it #though. A tweet with an attached image is more visible and easier for you and others to find later when scrolling down a timeline. I try to add images at least once per logical break, even if they’re screen grabs from a website or company logos. Get to know how to screengrab, crop, save and upload an image quickly on your platform. Most browsers can open PDFs directly so you don’t need to download and open in an external application to screen grab an interesting figure or notable schematic from a paper. Make sure you include a link (a DOI or URL) so people can put the image in context. 5) Get to know the tweeps! As I said before, a lot of scientists use Twitter. Try to figure out who are the people tweeting at a conference and make sure to follow them to see what they’re talking about. You may find extra insight or perhaps an interesting discussion point in which you can get involved (on or off-line). Live tweeting is not for everyone, but hopefully I’ve given you some reasons why you might at least want to follow a conference hashtag, even if you don’t contribute. Like any community however, the more people that get involved, the more everyone benefits. #1: There is a really interesting discussion around this point, which extends to recording and/or streaming a conference. The argument goes that if people can “be at a conference” from their computer why would they ever pay the flight/hotel/conference fee to go to a conference in person? To me, this argument is patently ridiculous. Attending (most) conferences is about being part of a community, and this is a 2-way interaction. Some of the most interesting discussions happen over drinks or at meals, not necessarily during the talks and question periods. I’m fully for recording and streaming talks at conferences, and I seriously doubt that this would impact attendance. #2: Many people use Twitter on their smart phones. The one and only time I do this is if I want to take a photo and tweet it directly. Otherwise, it’s just too slow and lacking in the editing / lookup tools (eg. 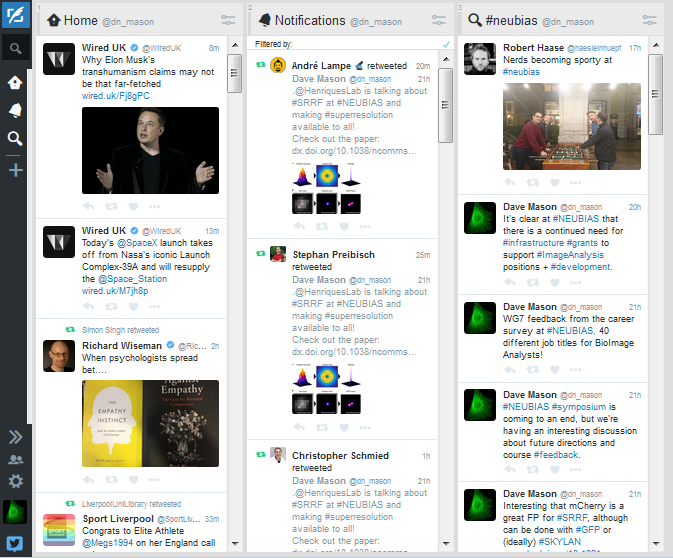 good tabbed browsing) and screen real-estate to make the most of tweetdeck. If you can, always use a laptop or maybe (if you’re really good with it) a tablet. This year the beautiful Lamington National Park was home to the 9th International Wolbachia conference, a biennial meeting focusing on the reproductive parasite, Wolbachia, and other notable endosymbionts of arthropods and nematodes. Nestled in the sub-tropical rainforest, over 80 delegates from across the globe assembled to present work on the evolution, ecology, genomics and cell biology of symbioses. Mornings began with the bustle of bush turkeys and bower birds at breakfast, before full days of talks and posters set amongst the canopied hills of the park. Here I had the opportunity to present, at my first international conference, on the intriguing role of a symbiont, known as Arsenophonus, in honey bee colonies. Arsenophonus, just like Wolbachia, is a genus of bacteria that infects many Arthropod species. It is capable of a diverse range of interactions with different host species, from reproductive parasitism right through to nutrient provisioning. My talk touched on the prevalence, transmission and phylogeny of Arsenophonus in UK bees and generated some interesting questions on the potential roles of Varroa mite and bacteriophage. The reputation of Wolbachia as an adept manipulator of host biology attracts many to its associated phenotypes of feminisation, parthenogenesis and male killing – to name just a few. This year was no exception, with exciting reports of the discovery of new Wolbachia induced phenotypes, alongside the resolution of old ones. The genetic basis for cytoplasmic incompatibility (CI) appears to be finally unravelling with the identification of two Wolbachia prophage genes that induce CI like defects in Drosophila, while in Eurema butterflies there is increasing evidence Wolbachia can cause meiotic drive. Updates were also heard from the ‘Eliminate Dengue’ program, which uses Wolbachia infected mosquitoes to reduce vector competence for dengue virus. A bio control strategy that may also be deployable against Zika virus, and highlights the ability of symbiont research to resonate on a humanitarian level. The conference was an exceptional opportunity to meet members of this relatively small field, and engage in discussion on many of the unresolved aspects of symbiont biology. Inspiration aside, the week was also incredibly useful for improving my understanding of an array of approaches and techniques that were showcased by speakers, some of which I look forward to transferring to my own work. As the conference came to a close, the more musically gifted among us performed a Beatles inspired tribute to Wolbachia – “we all live in a filarial nematode”, and I headed off to the east coast in search of kangaroos and humpback whales. I am very grateful to the Michael Pugh Thomas Fund and the Genetics Society, whose grants enabled my attendance at the conference. On 12th September 2016 I was fortunate enough to attend The Frontiers in DNA repair conference (@DNArepairBerlin) held in Berlin, Germany. The aim of the conference was to bring together scientists working on DNA repair, and highlight recent advances within the field. Initial talks focused on the mechanistic side of DNA repair such as lesion removal, telomere protection and events surrounding replication stress. Later talks highlighted how we can translate these findings into a clinical setting to treat inherited genetic disorders and cancer. All the talks were very interesting and inspiring, enabling me to gain further insight into the different mechanisms employed by cells to maintain genome integrity. It was fascinating to observe the different types of assays and experiments used by other groups to answer their specific research questions. I hope to apply some of these valuable and creative techniques in my own PhD. One particular highlight of the conference was the opportunity to present a poster of my PhD work so far. There was much interest in my poster, particularly with regards to the clinical impact. During the poster session I had the opportunity to talk to the leading researchers in the field and was able to gain valuable feedback and suggestions for my future work. Overall, the conference was a thoroughly enjoyable and valuable experience which has enabled me to expand my DNA repair knowledge as well as pick up useful experimental tips and tricks. I would like to show my gratitude to the Herbert and Dorothy Catlow Postgraduate endowment fund which made this trip possible through their generous travel grant. Together with fellow IIB colleagues Jill Madine and Kieran Hand, I recently attended the XVth International society of amyloidosis conference in Uppsala. After a brief stop in Stockholm to visit the Nobel Prize museum for inspiration we headed north to discuss all things amyloid! This 5 day biennial conference sees clinicians and scientists come together to discuss recent advances in basic understanding, clinical trial results and new developments. I was given the privilege of presenting our recent findings in an oral presentation – although terrifying, this was a great experience and gave rise to lots of interesting discussion over coffee! The conference also gave us the opportunity to meet up with existing collaborators from around the world and to develop new exciting collaborations. Following a packed 5 days we left Uppsala tired, enthused and delighted that we had tried authentic Swedish meatballs! Guest post by Jennifer Francis, PhD student in the Institute of Integrative Biology. I recently attended the Frontiers in BioImaging conference in London (14th-15th July 2016), organised by the Royal Microscopical Society (RMS). Since this highly specialised conference was relatively small, I got the opportunity to speak one-to-one with experts within the field of super-resolution microscopy about their cutting-edge imaging techniques. A number of microscopy companies, including Carl Zeiss and Leica, also showcased their latest products. The highlight of this trip, was presenting my poster entitled “Exploiting Fluctuations to Enhance Imaging Resolution of Biological Structures“, which generated lots of encouraging interest. Whilst in London, I also got the chance to explore the famous landmarks, whose architecture never fails to impress. As well as, attending the talks, I also sat in on the Annual General Meeting (AGM), where the new RMS committee was elected. Presenting my research at this conference was a privilege, since I was not only representing the University of Liverpool, but also the Centre for Cell Imaging. I came away from this conference with exciting new ideas to try out in my own research, having made valuable connections. Due to the positive influence of this conference, I have since become a member of the RMS and look forward to attending future events or courses they intend to hold. Lastly, I express gratitude to the Michael Pugh Thomas Endowment Fund for its significant contribution towards the travel expenses to attend this superb conference. I recently had the opportunity to attend the 13th European Conference on Fungal Genetics (ECFG) in Paris, France. This amazing opportunity was thanks to the Michael Pugh Thomas Endowment fund and support from the Genomes to Systems (G2S) Research Theme in my Institute. This year, ECFG13 was aimed at presenting recent advances in fungal genetics and molecular biology, including cellular biology, evolutionary genomics, biotic interactions, systems and synthetic biology, ecogenomics and biotechnology. As an interdisciplinary forum for scientists, from both the academic and industry fields, its aim was to present and discuss the most recent innovations, trends and issues in the field of fungal genetics and molecular biology and over 800 people attended. As such, the conference provided a fantastic opportunity to showcase our recent developments using PacBio RNA sequencing, as applied to the filamentous fungi, Myceliapthora thermophila. To date, PacBio sequencing has not been applied to filamentous fungi and the sequencing protocols are still widely under development. We are currently preparing a publication on the applicability of PacBio sequencing for improving genome annotations and applying this to an industry-relevant fungal strain. ECGF was a great opportunity to showcase our initial results. This work benefits both the academic and industrial field of fungal research, of which both groups of researchers were in attendance at this conference. During my time in Paris, I had the chance to present a poster on the technical analysis of PacBio RNA sequencing. ECFG was a brilliant platform for the dissemination of our research and techniques to both the academic and industrial fields. Additionally, this research was completed thanks to a Knowledge Exchange Voucher from the Technology Directorate and the University of Liverpool and showcased the services and facilities available within the Centre for Genomic Research. My poster generated lots of scientific discussion about its advancement for fungal research and sequencing technologies. As a result, I have made new acquaintances and contacts in the hopes of further collaborations in the future. Following full days of seminars and workshops, my evenings were spent as a tourist in “the most beautiful city in the world” and I was able to indulge in French delicacies. From the panoramic views at the top of the Eifel Tower at sunset, to across the Seine for dinner at traditional French bistros; there is no shortage of things to do in Paris in the spring time. Audrey Hepburn once said “Paris is always a good idea”, and when paired with fungal genetics, it certainly was!